We’re getting closer to Monday… here’s our Tuesday edition of the Mad Monday podcast where we look at the Crows, Lions and Blues. 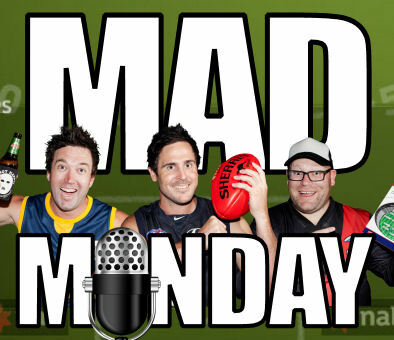 We’re back for our sixth pre-season Mad Monday podcast on the verge of the 2014 AFL Fantasy season opening for 2014! Subscribe now in iTunes and feel free to give us a rating and comment. Nice (Jeff Goldblum) 180 on the Marc Murphy situation Calvin. Bloody hell Calvin ease up on Murphy mate! Has anyone else signed up for dream team assistant coach and been charged $19.99 only to find that they’ve also been charged $1 as a separate charge completely from them???? i’m going to call my bank about it tomo. I just want to know if anyone else has had the same thing. Surprised Zorko wasn’t worth a mention.